Our family really loves to try new recipes. We love food in general, and certainly love to be gathered around the table together, with lots of it. We have many favorite meals that we have on a regular basis, but it’s always fun and exciting to try something new. And if it’s really good, we’ll have it again, or roll it right in with our regular rotations of meals. 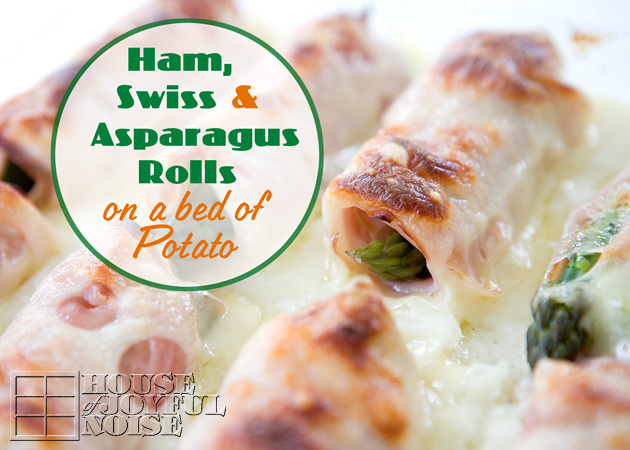 This new one, that I call ‘Ham, Swiss and Asparagus Rolls on a Bed of Potato’, we made for the first time well over a year ago, and it was a big hit. Just getting to share this recipe with you all now. But swiss cheese is a good choice, potatoes aren’t all that bad, and asparagus is great vegetable.We really love it and eat lots of it – organic and steamed. 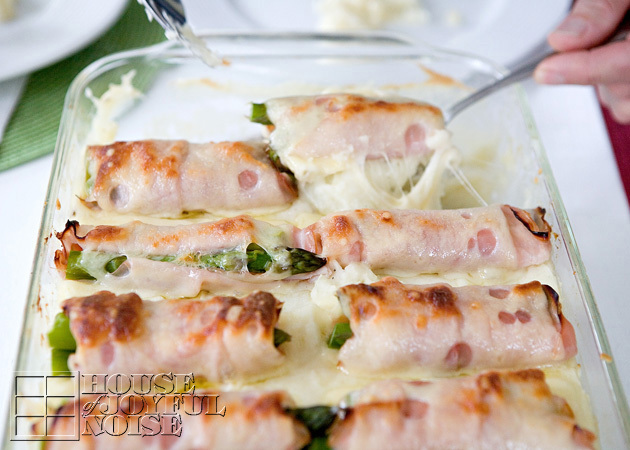 This casserole of sorts, couldn’t be easier to make. 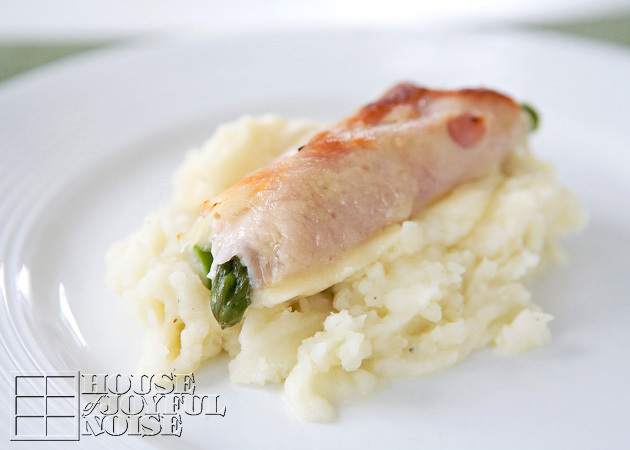 You simply whip up a batch of mashed potatoes, however you normally would. I know I add milk, butter, salt and pepper. 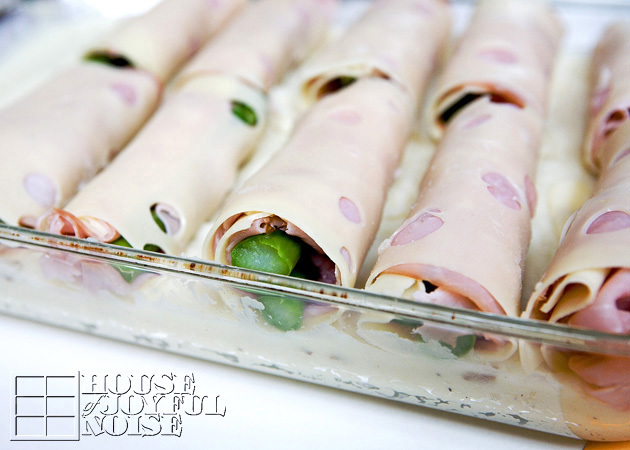 Spread it into the bottom of a buttered 9×13″ glass casserole/cake pan. 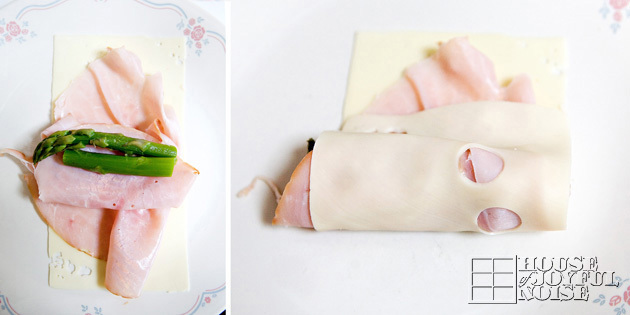 Lay a (not too thin) slice of swiss cheese, topped with sliced ham, and then asparagus. Then you just roll it up, as seen above. Line them up in your bed of potato! You can add extra slices of swiss over the top if you wish. Then bake at 400° for 25 minutes. The house smelled so good! We knew we’d be loving them. And then . . . . . . we did. Hope you all do as well.